· Hard Rock Hotel Vallarta and Four Seasons Resort Punta Mita were chosen by this travel publication as tops in Mexico’s Pacific Treasure. The hotel infrastructure of the Riviera Nayarit continues to garner all kinds of positive attention, as was the case with the publication of Travel + Leisure’s 2017 World’s Best Awards list, which included two of Mexico’s Pacific Treasure’s hotels among the best in Mexico and the world. Every year the publication polls its readers to rate hotels around the world to compile a list of the best of the best. The Hard Rock Hotel Vallarta is a luxurious all-inclusive hotel in the Riviera Nayarit where new meets classic with a view of one of the Mexican Pacific’s loveliest bays. 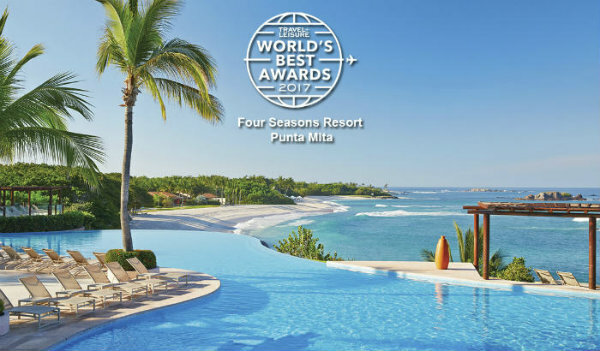 The Four Seasons Punta Mita, located on the Riviera Nayarit’s Glamour Peninsula, was also included in the list of the Top 10 Best Hotels in Mexico at 7th place, maintaining its excellent standing among the region’s elite properties. For its yearly survey of the Best Hotels in the World, Travel + Leisure asks its readers to share their opinions on hotels, resorts, cities, islands, cruises, spas, airlines and more. The properties are rated according to their facilities, location, service, food and overall value. Travel + Leisure is one of the most influential publications in the international travel industry. The print version has a circulation of 970 thousand issues with 4.8 million readers, according to data supplied by the magazine. 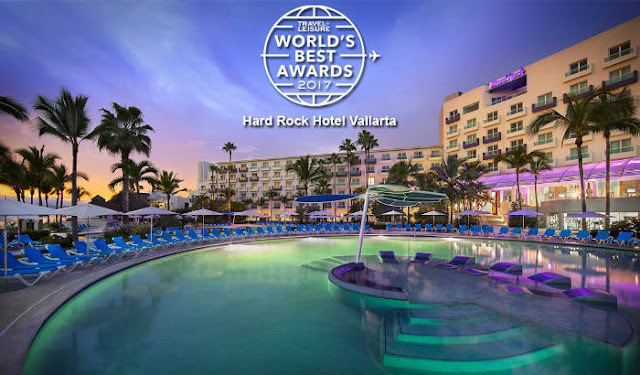 The Riviera Nayarit Convention and Visitors Bureau (CVB) extends its congratulations to the Hard Rock Hotel Vallarta, Riviera Nayarit and the Four Seasons Resort Punta Mita for making this select list that gives the destination massive exposure among travelers from around the globe.